Download speeds for home broadband in England have fallen level with the UK average and plummeted behind the likes of Scotland, new research shows. Speed testers Ookla compiled data from thousands of individual sources to show that in August 2017 fixed-line broadband in England slowed to an average download speed of 49.31Mbps. We know most homeowners and renters would be delighted if they could get average speeds of nearly 50Mbps for their broadband. We’ll talk more about how the results were calculated below. Scottish broadband by contrast topped the table with average download speeds of 66.77Mbps. 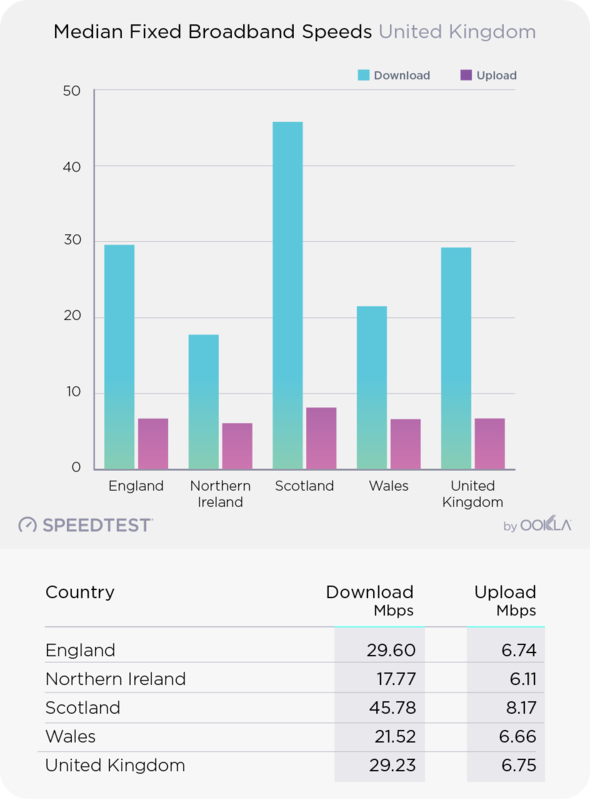 Wales came in third with downloads at 31.3Mbps and Northern Ireland’s 26.2Mbps took the wooden spoon with download speeds averaging half that of English broadband. Upload speeds – the rate at which home phones, laptops and other devices can transfer data to the internet – were fairly steady across the UK’s four countries. Only England managed to top the UK average with uploads of 9.86Mbps. Northern Ireland again came last with uploads of 6.86Mbps. The above results rely on the ‘mean’ average. That is, all the download speeds totted up and then divided by the number of people who took the test. Because broadband speeds vary so wildly even street to street, the mean average can be misleading. Looking at the ‘median’ average instead gives perhaps a truer picture of the results. The median is the middle value of all the download speeds, where half are faster and half are slower. From this chart we can see England is still behind Scotland for median download speeds, but the numbers are more realistic. England again sits at around the UK average with downloads of 29.6Mbps and uploads of 6.74Mbps. But values in Northern Ireland of 17.7Mbps down and just 6.11Mbps up will be of concern both to businesses and the general public. 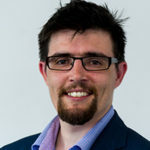 Decent broadband is now a total necessity for modern life and without the proper infrastructure, the UK will not be able to give its long-suffering citizens the ability to carry out everyday tasks, let alone compete on the world stage.